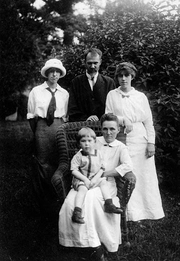 Millia Davenport(1896–1992) The Davenport Family, 1916, Millia at left, two years before she left home. Millia Davenport is currently considered a "single author." If one or more works are by a distinct, homonymous authors, go ahead and split the author. Millia Davenport is composed of 1 name.